E-mail / Phone / Package: Twin Lens | Kitty Clark and Craig Fritz | Destination Wedding Photographers based in Santa Fe and Albuquerque, New Mexico. 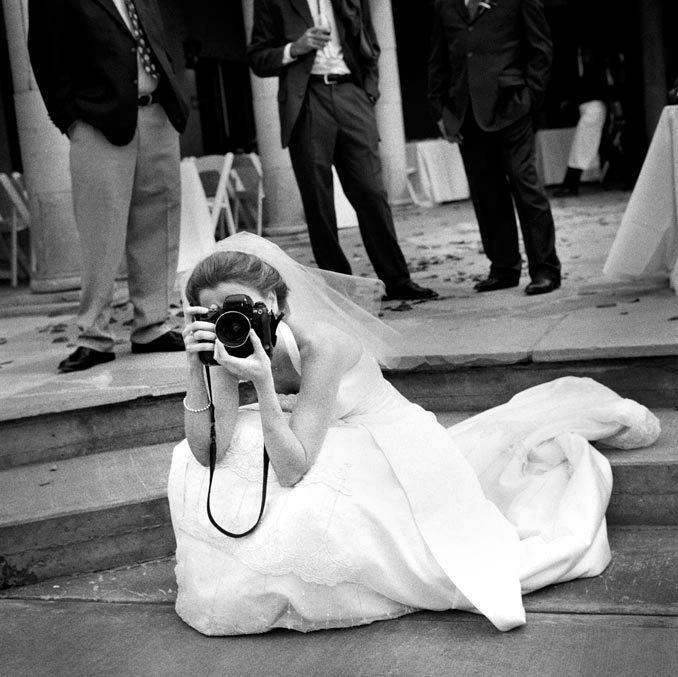 Top 10 Wedding Photographers "American Photo Magazine"
E-mail us for information on pricing and availability or with any other questions you may have. Please include the location and date of your wedding. Feel free to visit our Facebook and Instagram pages that we use as a blog of sorts. It is the best way to keep up with our most recent work. Kitty and Craig photographing together on your wedding day for up to 8 hours. We work with both 35mm digital and 6x6 medium format film cameras. All of the photos are viewable on your own password-protected website. This site can be accessed online by you, your friends and family to view images and order reprints. Included is a box of prints of your choosing which chronicle the day. Also included is a flash drive containing .jpg's of all your images. Each is individually toned and ready to print. These are high resolution files which can be printed up to 8x10 inches. Finally, we produce an online slideshow as an easy way for you to share the day's best pictures. To showcase your wedding story we create incredible custom-designed and bound coffee table albums. For your favorite, signature images we recommend our archival, fine art prints which are presented in an elegant gallery mat with backing, ready to frame and display. In the digital realm, full resolution files of your photos and a digital version of your slideshow are also availible for purchase.